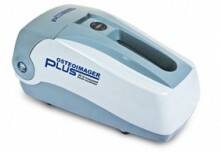 Osteoimager plus for Growth Platesuses ultrasound to estimate the ossifying cells and bone density of children’s heel. Unlike X-ray examination, ultrasound is radiation-free; hence it is safe for repeated periodic examination. In addition, ultrasound examination of heel in children offers a more precise evaluation. Adult bone density (osteoporosis) and bone growth plates of growing children analysis and measurement of ultrasonic diagnostic equipment is correctly made. Click the button below to add the OsteoImager Plus Ultrasound Bone Densitometer to your wish list.